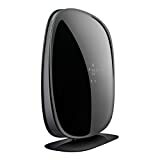 Here we present you the best router for Verizon FiOS, Verizon is one of the biggest internet service providers in the US. Through its Fios service, the ISP offers internet plans boasting upload speeds that are equal to download speeds to keep all your devices cruising with fast connectivity. And by combining your Verizon Fios modem with the right router, you can maximize your service plan. Linksys are known for their high-quality products and excellent support and returns policies. The EA7300 get's our pick for Editors Choice 2019. Regardless of today's advancements in wireless technology, you'll still find many internet users complaining about dead zones in their homes. If you have experienced this, then you know how frustrating it can be. To maximize your Verizon Fios plan and enjoy a comprehensive coverage even in a large home, you may need to do better than the Verizon's proprietary router. Not that there is anything wrong with the router. The Fios Quantum is a great device. It's a dual-band Wifi Gigabit router complete with a dual-core processor and you can rent or purchase it for quite the buck from Verizon. However, depending on your needs you may want to consider other routers in the market. For the same price or less, you can get a better device and get to benefit from a better array of features. Some of the best router for Verizon Fios in the market can really blow your mind. To help you choose the best, we researched through the different routers in the markets to come up with the highest performing while being conscious of the essential features as well as budget. Before you rush out and spend on a new router, it's important you know that not all routers are Verizon Fios compatible. Only those provided by Verizon are compatible with Fios. So, if you are connected to the network terminal with a coaxial cable you will need to use a Verizon router from which you can connect a third-party router via an Ethernet cable. To connect your new router to your Verizon network, you must first change your Verizon gateway or router to bridge mode. In bridge mode, the Verizon hardware becomes a pass-through device allowing your third-party router to function as the primary WiFi device. Now that's out of the way, the next conundrum is to identify the perfect router for your home network. It is important to understand your exact needs before purchasing a new router. How large is your home? How many network devices do you have? These are some of the things you should consider if you want to be satisfied with your choice. Introduced in 1997, the 802.11 WiFi standards have changed greatly over the last few years with the newer standard, 802.11ac providing the fastest speeds over Wi-Fi. Although the 802.11 b, a, and g protocols are still used today, it's the 802.11n (Wireless N) and 802.11ac that are mostly used today. Wireless N supports a bandwidth of 300 Mbps with current dual-band 802.11n router delivering speeds of 600-900 Mbps. The 802.11ac is your go-to standard. The protocol is the most advanced and delivers a wider channel bandwidth pushing speeds upward of 1,300 Mbps. The more LAN/WAN ports the better. There are basically two types of Ethernet ports – the Gigabit Ethernet that provides speeds upwards of 1000 Mbps and Fast Ethernet that provides speeds of 100Mbps. For future proofing purposes, it may be worth opting for a Gigabit router or you may find yourself having to upgrade again. The best routers have USB 3.0 compatibility to ensure optimum speed. USB ports allow you to connect other network devices such as scanners and printers directly to the router itself. You are also able to attach an external hard disk to the router and share the storage with all connected devices locally and with some routers, via the cloud. Quality of Service (QoS) enables you to prioritize specific applications, for example, video streaming, over other uses. MU-MIMO (Multi-User Multiple-Input Multiple-Output) on the other hand enables you to direct the full strength of your signal to specific devices rather than sharing it equally across all devices. If you live in a densely populated neighborhood, you may have to opt for a dual-band router otherwise a single-band router may do the trick. The latter function on one wireless frequency (the 2.4GHz band) and while they may work well for internet surfing, they may not be suitable for high-bandwidth applications such as online gaming and high definition video streaming. Dual-band routers are designed with both the 2.4GHz and 5GHz bands. Unlike the 2.4GHz band, the 5GHz frequency is less susceptible to interference and provides a faster connection. 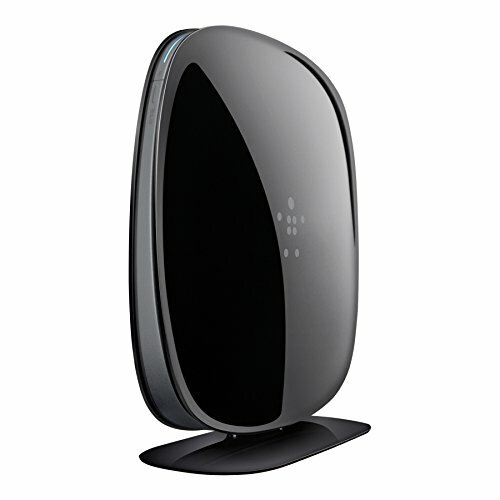 You can also get a tri-band router which has an additional 5GHz connection but the typical home, it may not be necessary. However, if you have a high bandwidth consumption and a large number of connected devices in your home, a tri-band router may be ideal. 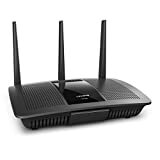 The TP-Link Archer C7 802.11ac WiFi router is one of the most popular routers on the market and outperforms many routers that cost two to three times as much. The dual-band router comes with comes with simultaneous 2.4GHz (450Mbps) and 5GHz (1300Mbps) which provide a combined wireless data transfer rate of up to 1.75Gbps. Compared to the Verizon Fios Quantum's 800 Mbps, that's quite some throughput. This makes the Ac 1750 a great choice for HD streaming, online gaming, and other bandwidth-intensive applications. With the Archer C7's dual-band capability comes the flexibility for users to use two dedicated connections. Simple tasks like sending e-mails or web browsing can be handled by the 2.4GHz band while bandwidth intensive tasks like online gaming or HD video streaming can be processed by the 5GHz band – all at the same time. We were quite impressed with routers coverage. The 3 external dual-band antennas make it possible to maintain high speeds across greater distances providing you with reliable WiFi coverage and reliability from anywhere in your large home or office. Additionally, the device features 4 Gigabit Ethernet ports allowing users to set up wired connections for multiple devices at once. The router allows you to easily share content within your network via dual USB ports. Users are also able to share a printer and external storage across the network. You can do this locally with the networked devices or remotely via FTP server. With the WPS button, TP-Link added an easy one-touch WPA wireless security encryption. You can easily set guest network access providing secure WiFi access for guests sharing your home or office network. The router is also equipped with Setup Assistant for a quick & hassle free installation process and features an On/Off switch enabling you to turn the wireless radio on or off. Great performance for its price. It has less functionality for those who want to do more with it. The Belkin AC1900 is one attractive piece of technology. The router is outfitted with cutting-edge hardware to provide unrivaled speed and stability to all of the devices on your home network. The AC1900 comes with ac wifi which is up to 4.3 times faster than the wireless n technology enabling it to deliver blazing speeds and an undisputed reliability. The router delivers simultaneous dual-band speeds of with 600 Mbps on the 2.4GHz band and 1.3 Gbps on the 5GHz band. This enough to keep movies and online games running smoothly and thanks to the innovative Intellistream QoS technology, the router automatically prioritizes streaming and gaming. Amazing right? And if you prefer wired connections, you won't be left behind either. The router features 4 Gigabit Ethernet Ports for maximum wired speed. Additionally, users get to enjoy faster file transfers via a 3.0 USB port making photos, music, and movies sharing faster than ever before. Installation is quite easy and you can setup the router from your smartphone, tablet or desktop. The router is now available on Amazon. Beautiful and easy to understand user interface. It has just one light that shows if the router is on or off. The Linksys AC1750 is a powerful router capable to meet the demands of a multi-device environment typical of modern homes. It ensures high-speed connectivity for everyone in your home and can support simultaneous connections to up to 10 Wifi devices. The Linksys Max-Stream is dual-band router and provides a combined speed of up to 1.7 Gbps. It's dual-core processor further helps to boost the throughput providing extremely fast data transfer speeds for all your devices. Apart from its ability to connect multiple users and high speeds, the Linksys Smart Wi-Fi feature additionally helps users overcome bandwidth limitations and avoid lag by prioritizing devices that need the fastest Wi-Fi. Beamforming+ technology further focuses WiFi signal to each device on your network ensuring a more stable connection. When paired with a Linksys Max-Stream range extender, the routers utilizes Seamless Roaming to automatically switch to the strongest Wifi signal as you as you move around your home, ensuring less buffering. The router has advanced security features and you can safeguard your network with a wireless WPA2 encryption and guest network access. You are also able to set parental controls enabling you to restrict access to inappropriate content, control usage, and block specific devices from accessing the Internet. Network management is a breeze. With the Linksys Smart Wi-Fi App, you can closely monitor your home Wi-Fi remotely using a smartphone or tablet. Pushes you towards Smart Wi-Fi service. 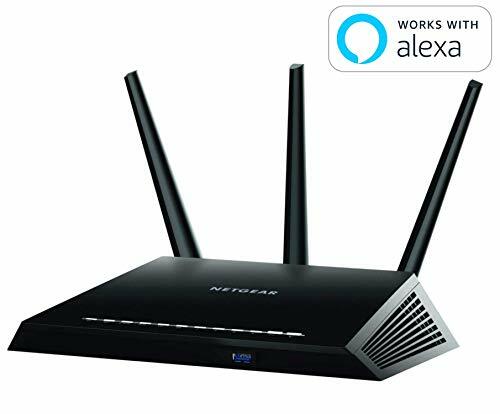 The NetGear Nighthawk AC1900 is a top class networking device. The router offers speeds up to 1900 Mbps and is designed with a powerful Dual Core 1GHz processor for extreme performance. NetGear equipped the router with high-powered amplifiers, external antennas, and Beamforming+ technology for improved range and signal reliability. In addition, the AC1900 features Dynamic QoS for optimized game play on consoles like the Xbox. With the NetGear Genie App, you can easily monitor, control and repair your home network. Additionally, the router is compatible with Amazon Echo enabling you to control your home network with voice commands. Back to the hardware, NetGear included 3 external antennas ensuring a wide coverage for better performance in a medium to large sized home. Add to that the 4 LAN ports and a USB 3.0 port and you have yourself a device able to meet a wide range of networking functions. When you consider the performance of the router, its extensive features, and intuitive GUI, its price may seem more than fair. Setup could've been easier than it is. 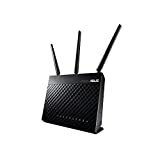 The Asus RT-AC68U is one of the best WiFi routers today. The router provides blazing internet speeds and wireless coverage that can put most routers to shame. The delivers combined speeds up to 3167 Mbps with the 5GHz band at 2100 Mbps and the 2.4GHz at up to 1000Mbps. That's more than enough even for 4K video streaming and intensive gaming. The router is equipped with a four-transmit, four-receiver (4T4R) antenna design which significantly improves both Wi-Fi range and signal stability ensuring you stay connected throughout your home. Beamforming+ further focuses the Wi-Fi signal on the devices, making your Wi-Fi faster, clearer and stronger. USB ports and Gigabit LAN ports, the AC68U got it all. Users are able to aggregate two LAN ports into one high-speed connection port as well as convert one of the LAN port into a WAN port. On top of the router's revolutionary hardware, Asus added a long list of innovative features including MU-MIMO which gives every compatible device a dedicated full-speed WiFi connection so that multiple devices to connect at the same time without slowing down the network and AirProtection which provides advanced security protection. If not only that it's considered the best router for Verizon Fios but also if you are an avid gamer, you'll be glad to know that the AC68U features built-in game acceleration and access to route-optimized servers to ensure consistently low ping times during your gaming sessions. The ASUS RT-AC68U can take your wireless network to the next level. It can be pricey for the most. Purchasing the perfect router for Verizon Fios can be quite a challenging task, but once you get over the hurdle, you can get to enjoy a fun internet experience. If you are confused by the many different models, then consider any one of the above-mentioned, we hope that you found what you were looking for without too much effort and all that will remain for you is to install and enjoy using it. I hope you liked our choices for the best router for Verizon Fios. Thank you for this article. We are experiencing very low speeds with the Verizon gigabit modem on the 2.5 band. Will one of these midems correct tgat? Hi William, I think the Linksys EA7300 would do the trick. Just make sure it’s suitable for any other gear in your setup and you should be fine. I recently purchased the ASUS AC3100 RT-AC88U and couldn’t set it up and ASUS Customer Svc said I needed to purchase a MOCA modem to work with it on my MacPro Tower. I did and it didn’t. ASUS suggested I contact Verizon fios to get the equipment set in Bridge mode. Verizon set that would not work because I had coaxial and might loose feature on my TV – I needed to be wired on ethernet or combine the ASUS with the verizon as a work around. What a run around. I’m sending everything back $400.00 spent and still nothing. Is there something simple like the poorly function Fios Router where I can plugin and use? We are looking for something to service a small office (less than 10 users). Do you still like the AC1750 for this, or something like the AC1900 or AC2200? Frontier (Verizon) suggested we get our own, but made no specific recommendations. For office use, I’d go for either the AC1900 or AC2200 to give you more config options and the updated firmware etc. 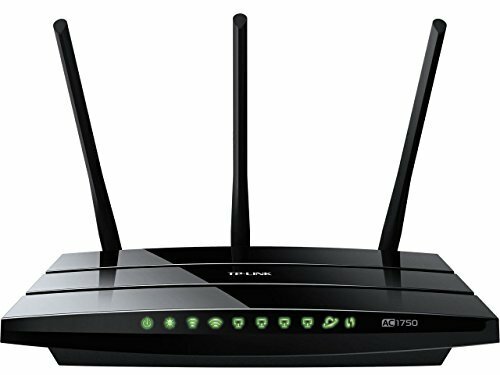 Is the Top Rated by Consumer Reports ASUS RT AV 88U router work with the Verzon Fios system as good as the ASUS RT AV 68U? Can you recommend an excellent 16 port ethernet splitter? Hi Robert, they are only slightly different from what I can see. The 88U would be my choice also. I plan on using Verizon Fios Internet only 300 mbps plan for streaming TV etc.. My objective was not to rent the router from FIOS. “So, if you are connected to the network terminal with a coaxial cable you will need to use a Verizon router from which you can connect a third-party router via an Ethernet cable. Are you saying I still need to get the Verizon router to use with one of these other routers? Hi Bob, what we’re saying here is that in order for this to work you will need to set ‘bridge mode’ on your gateway/router.